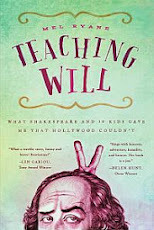 Teaching Will: The Shakespeare Club: Hard News: What's Best? 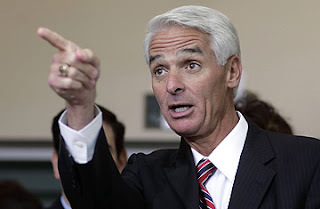 My hat's off to Florida governor Charlie Crist for bucking the trend and not passing this education bill. Here's what I know after five years of attempting classroom rule: You can't learn to manage the room in one, two or three years. It takes time and accrued experience. Here's what else I know: Incessant mandated testing does not equate with real learning and is both sapping creativity in teachers and killing the desire for knowledge by students. Testing seems to me to be someone's idea of a quick fix. If we take a quick glance at scores we can deduce levels of academic absorption. If we jam facts into growing brains it means they know something. Children are being left behind. There is no quick fix. Lower classroom size and let teachers teach. Get parents robustly involved in helping on campuses and at home.